UEM delivers IT & Security leaders the technology needed to manage and secure smartphones, tablets, laptops, desktops, wearables, and the Internet of Things (IoT). 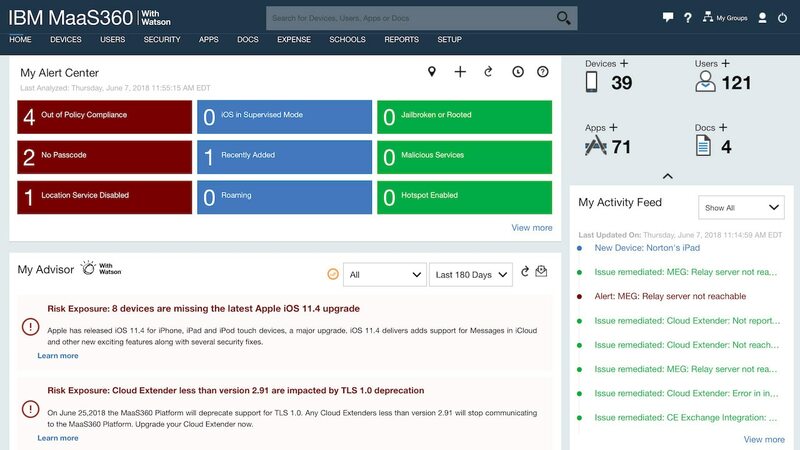 With Watson™, MaaS360 is the only platform that delivers an AI approach to UEM to enable endpoints, end users, and everything in between — including apps, content, and data. Experience MaaS360 free for 30 days and get complete access to its features and functionality. 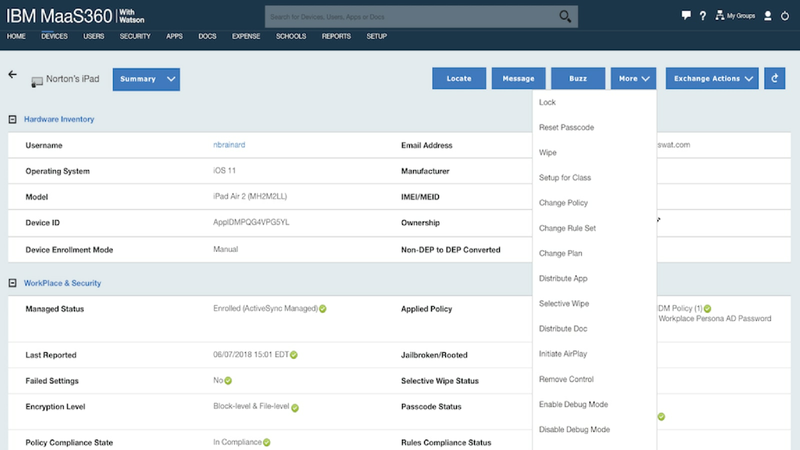 Discover endpoint vulnerabilities, uncover new opportunities, and align with industry best practices using the industry's first and only AI approach to UEM. 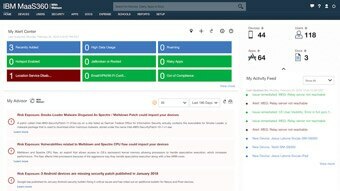 Protect corporate data and uphold compliance with industry regulations through containment plus threat, identity and patch-management capabilities. 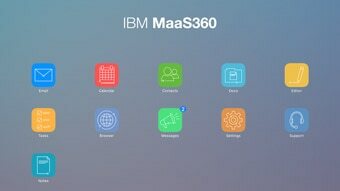 Try MaaS360 with Watson free for 30 days and get started in just minutes. Manage and secure users, smartphones, tablets, laptops and apps, enabled by cognitive insights with Watson. 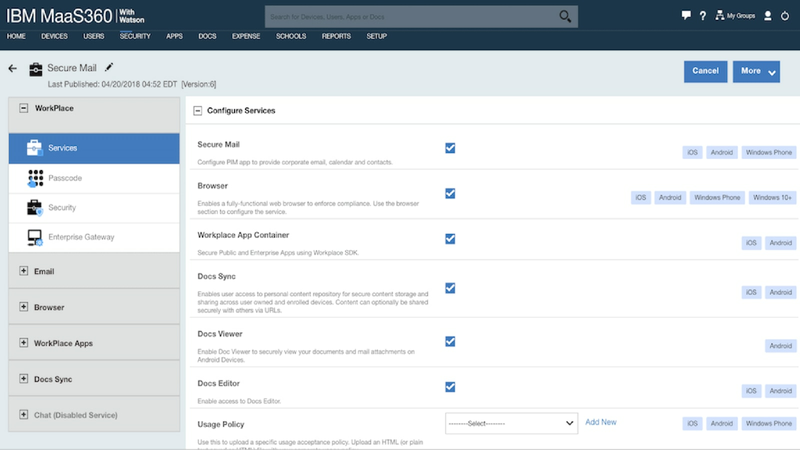 Add email and chat containerization to separate personal and business data. 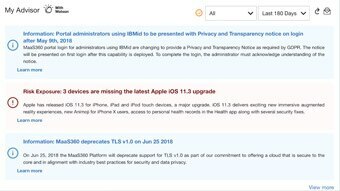 Add content management, secure browser, application security and protected network access. Transform your business with the ultimate package for enterprise protection and productivity.